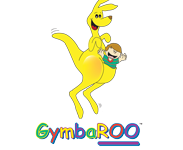 GymbaROO is a fun, educational program that has been researched for over 30 years to enhance the neurological development of children and to inform parents of the importance of early childhood development to health, learning & behaviour now and in the future. GymbaROO is not a ‘gym’ or a ‘playgroup’, it is a ‘parents as teachers’ centre. Other Locations: Castle Hill Bowling Club: 79 Castle St, Castle Hill. Inside The Lines Tennis Academy operates out of Richmond Tennis Centre which is located on one of the main thoroughfares in Richmond – we are right across from the RAAF base. Our qualified coaches offer lessons for all ages and abilities. We run social competitions, have a junior development squad, School holiday Tennis Camps and will be launching cardio tennis this year – we have all your tennis needs in one place with our Pro Shop which stocks racquets, shoes, bags and accessories we also provide racquet stringing and customising services. We are proud to work closely with Tennis Australia, allowing us to provide the most up to date comprehensive service to our members and their guests. Ever had a clown or a magician for your children’s party? Well what about taking that concept and making it a LEGO® one instead! Every child loves a party, and every parent loves a party entertainer! We have loads and loads of bricks, accessories and props for your building enthusiasts to have tonnes of creative fun. Our professional and entertaining party hosts won’t just come in, dump it on the floor and let the kids get on with it (unless you want us to do that of course! ), they will run imaginative and creative building challenges to keep your Little Builders thoroughly entertained for one and a half hours. With LEGO® Minecraft, LEGO® Friends, LEGO® Star Wars or generic LEGO® themed parties, your Little Builder’s party is sure to be a hit for both the kids and the parents! EVERYTHING IS AWESOME WITH LITTLE BUILDERS! LET US HELP YOU BUILD A FANTASTIC PARTY! Plaster painting studio in the Hills! 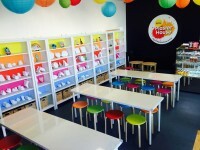 Pop in to paint or let us host a unique party for your child.